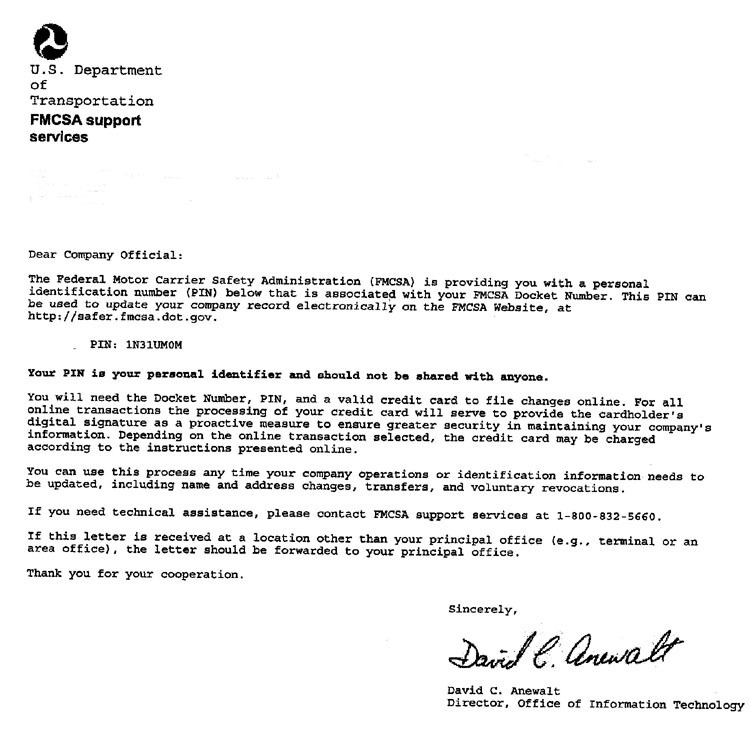 Letters from the FMCSA after filing for Carrier Authority. 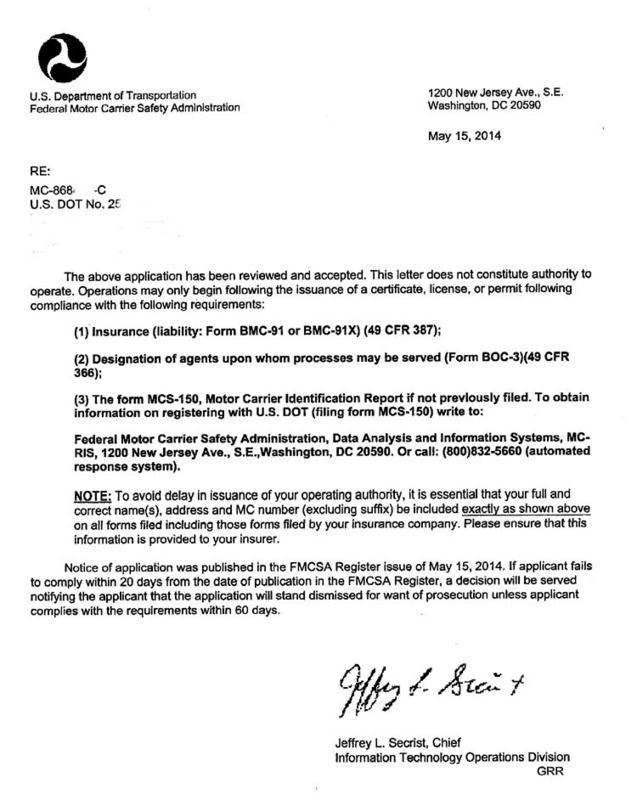 About two weeks after you file for your authority you will receive three letters from the FMCSA. The first letter will say that your application has been reviewed and accepted. It then adds that operations may only begin following the issuance of a certificate, license, or permit following compliance with the following requirements. 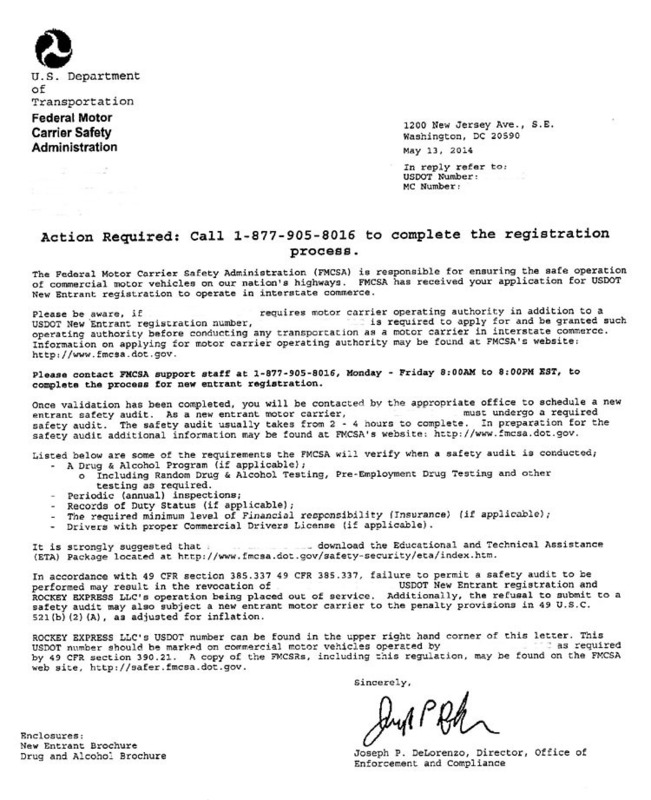 The letter goes on to say that if the applicant fails to comply within 20 days from the date of publication in the FMCSA Register, a decision will be served notifying you that the application will stand dismissed for want of prosecution unless the applicant complies with the requirements within 60 days. This sounds a bit alarming but basically what will happen is that the application will be dismissed but you then have a year to file your insurance and BOC-3 and then follow-up with a letter to the FMCSA simply asking them to Undismiss your request for Motor Carrier Authority. There is no charge to do this and your authority will then be granted in about a week providing you also have your BOC3 on file. If the BOC3 was never submitted, you need to get this done before you submit the letter. 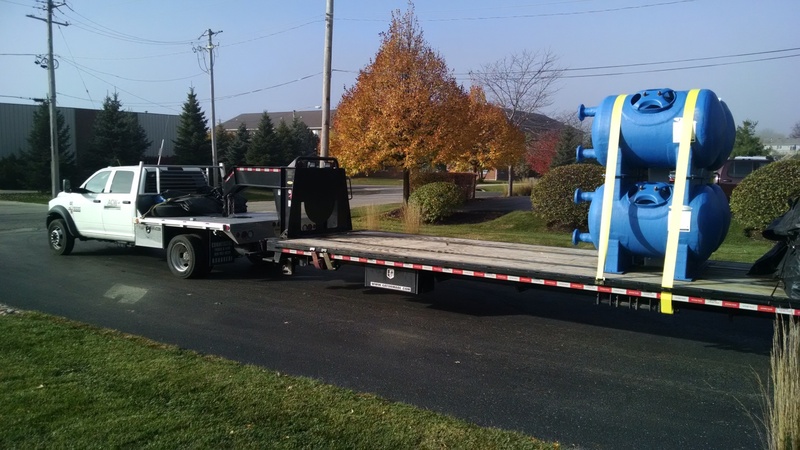 The part about insurance calling out a particular form is simply a form your insurance company files with the FMCSA indicating you have the required insurance. When we filed for your authority, we took care of the BOC-3 which is a listing of your process agents and I sent you a copy for your files. Don't worry about the MCS-150 form. The FMCSA changed their online application for motor carrier authority in December of 2015 and the new system does not provide an MCS-150 form which simply shows the basic information that is on file for you. However, anytime you modify your DOT information, you can print out an updated copy of your MCS-150 form. It is important that you make this call. They will verify the information that has already been submitted for your Motor Carrier Authority and they will then get you setup in the new entrant program that you will be in for 1 1/2 years. This will also trigger a DOT Safety Audit that is required of all new carriers and usually it happens around the third to sixth month of operations. Be sure to review the two pages on this private website that will help you understand what they are typically looking for. It can be difficult to get a person on the phone when you call but generally the best time to call with only minor wait time is between 5p.m. and 7:00p.m. I have also found the it is better to call later in the week rather than the beginning of the week. This letter will provide you with a Personal Docket Identifier Number that you will need in the future if you need to change your company name or address or if you want to file a Voluntary Revocation of your Authority so just keep it on file for potential future use.